we've dubbed her speck. speck hails from somewhere in middle tn and was an unwanted gift to someone who i think was not very smart so they dropped her at a shelter. 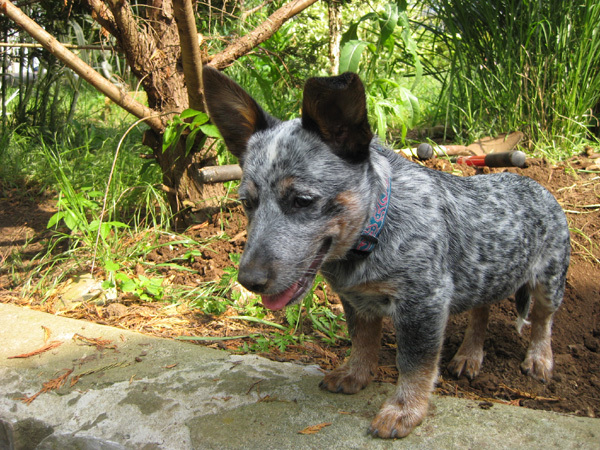 it's possible she's a full-bred cattle dog and it's definite that she's completely deaf. she's gonna give all of us a run for our money...already is in fact! we figured if we're gonna train one deaf dog we might as well train two. so far she's a perfect fit.